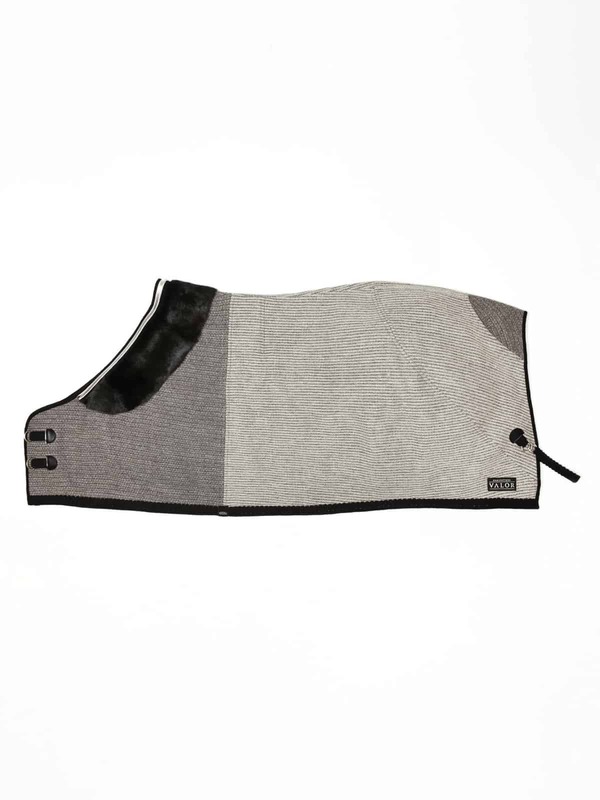 This luxury anti-sweat and travel rug boasts a detachable lambskin collar, which gives additional warmth to the shoulder area. 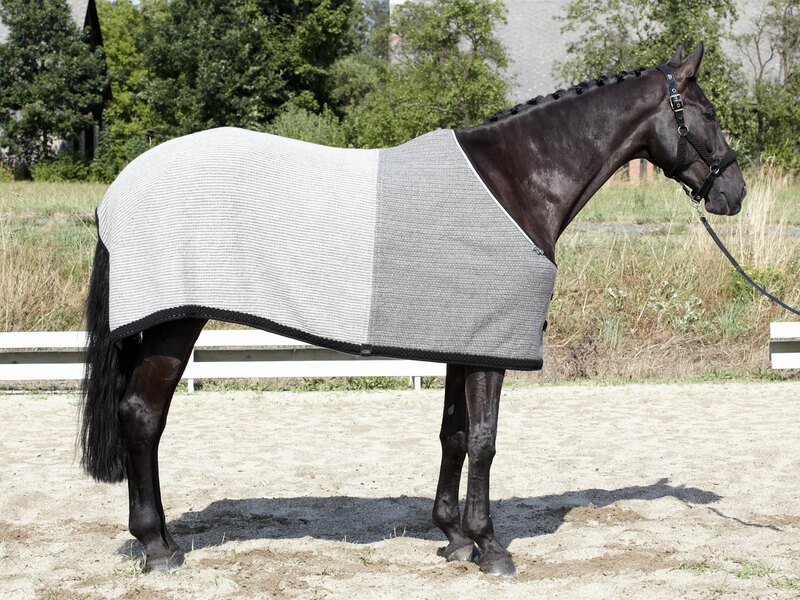 Premium quality leather trimmings and hand knotted borders add the finishing touches to this highly versatile blanket. The rug is made from lightly felted wool fabric originating from the Italian Alpine region, which in its current mixture of materials is hand finished from two different cloth designs. 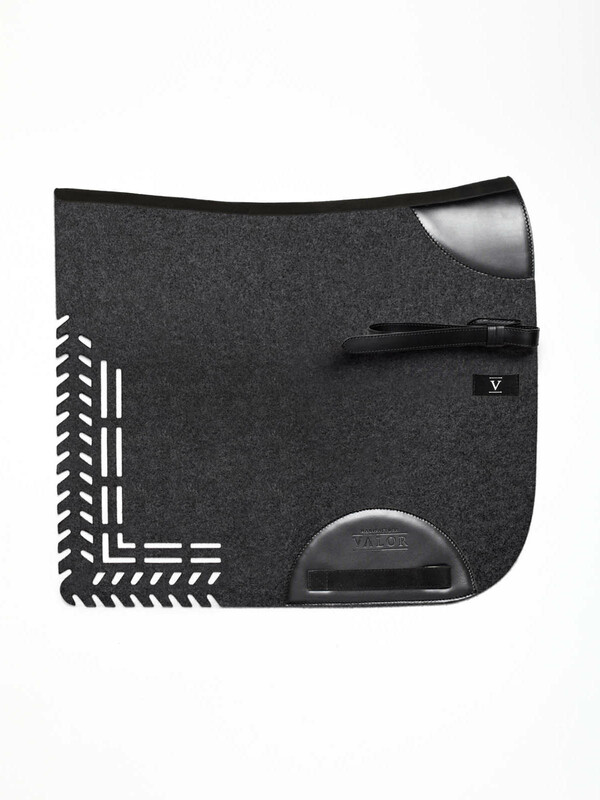 The design of the horse rug, with its custom stitching and internal girth cover, perfectly aligns with the torso of the horse and was developed in the studio VALOR. A tight fit and the breast fastening make this rug in wool comfortable to wear. 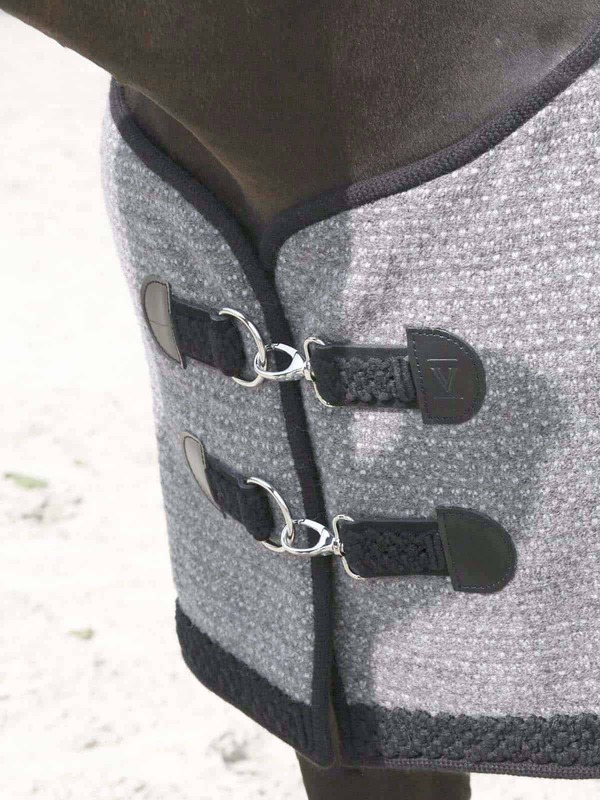 The highly versatile wool fibre can hold up to 33 % of its own weight in moisture without feeling wet and thus guarantees the animal’s physical wellbeing after the training or during trailering. 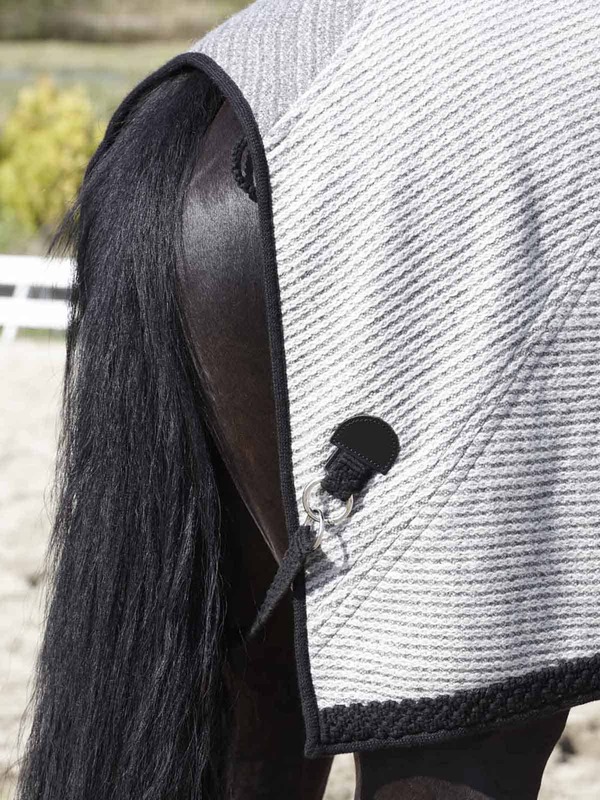 The material keeps out chills and dries the horse quickly and in a healthy way. Wool as a material is thermo-managing, breathable, antistatic, odor resisting, naturally warming without causing heat accumulation, and water resistant in light rain. The fabric structure supports these positive characteristics further. Collar: only professional fur cleaning. Rug: Washable at 30 degrees. Please note the care instructions on the paper tag and our General Product Informations. This product will be exclusively handmade for you.